If you are in a PLM selection process, we would encourage you to attend this great event to get a feel for Aras Innovator and how it’s being used in many manufacturing and MRO environments. 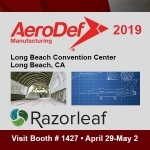 In this session you will learn how Razorleaf has taken its years of PLM and Aras experience and used it to advance the standard for Product Manufacturing Change Management. We will discuss best practices and demonstrate key solutions that customers across the product manufacturing space are using to be successful. MIT Lincoln Laboratory (MITLL) is in the process of deploying Aras Innovator as the backbone of its new model-based digital thread. As an FFRDC, the laboratory serves a number of sponsors in the aerospace and defense industries, and sits at the very beginning of the R&D process for those organizations. 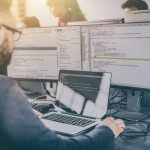 From its position within an extended design chain, MITLL has a unique perspective on the digital thread and how models can be used to lean out complex business processes. This session will provide a brief review and update of MITLL’s overall project to deploy a model-based digital thread, with a quick look into one key process – ordering physical items. MITLL partner Razorleaf will add some generic context to the lab’s situation, and will provide a quick demonstration of MITLL’s physical item ordering process. Stop by our booth and enter our Giveaway! We will be awarding two lucky winners with a wireless Aftershokz Titanium headset! This year’s conference promises to build on the Digital Transformation strategies that have been a center of discussion for ACE attendees. Our favorite part of the conference is always Aras in the Round, where Aras CEO Peter Schroer and CTO Rob McAveney take all attendee questions in a free Q&A format.